For our first Ag-note, OSU students DeVaughn Davis, Nathaniel Kinney, Kristy Payne, and Dalton Shipley share an economic perspective on the comparison of continuous versus management intensive grazing. 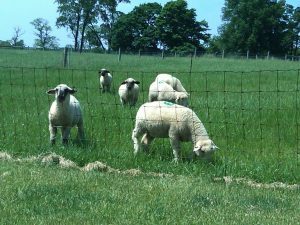 Grazing systems will vary greatly depending upon several factors including time, labor, and fencing supplies. Thankfully, shepherds have a few options when it comes to different grazes strategies. The simplest grazing system would be continuous grazing. Continuous grazing is where animals are placed in a pasture with a perimeter fence and one water source. Animals are not rotated and continually graze the same land without any type of internal divisions. Continuous grazing is beneficial from the standpoint that it requires low financial inputs, capital costs, and minimal labor. However, this grazing system becomes costly and an issue as some forage species do not have enough time to regrow due to animals grazing them as soon as new growth begins. As a result, pastures will show a reduction in yield per acre, become susceptible to overgrazing, and show an increase in undesirable forages and weeds. 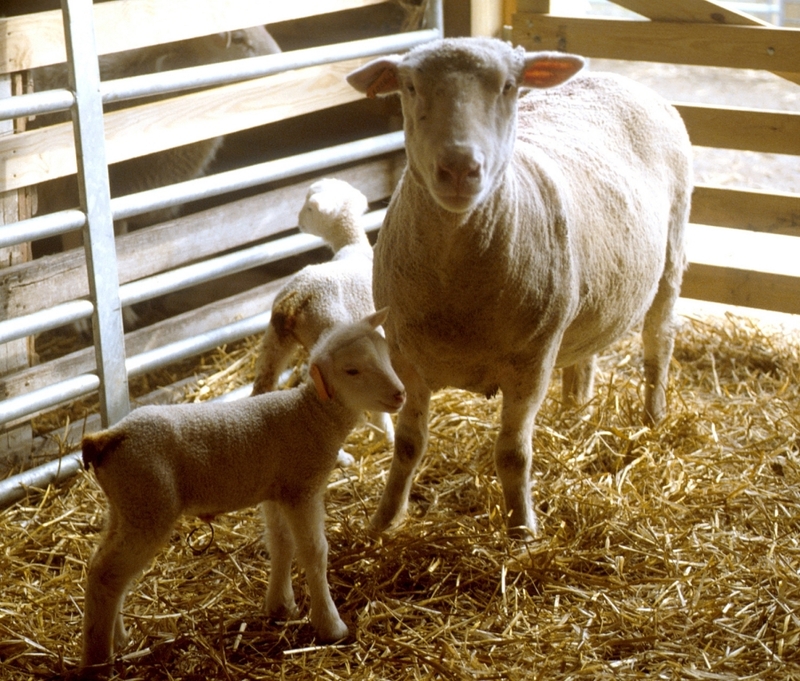 On the other hand, shepherds may use a series of rotations where animals are given a specific amount of time on a specific pasture/paddock and then moved to the next area. 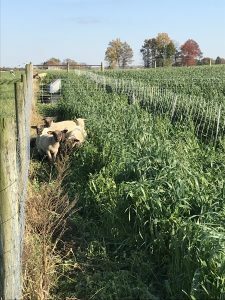 For those shepherds that are interested in capitalizing on land yield and utilization, one may consider using management intensive grazing. Management intensive grazing describes the intensity of management being placed on your rotation criteria. Rotations in this type of grazing system are based upon forage height, stocking density, forage quality, and parasite status. The benefits of management intensive grazing include increased pasture yields, quality of feed, and improved pasture parasite management. However, this grazing system does not come with out a cost. Management intensive grazing requires an increase in labor and management as well as initial costs for extra fencing and watering supplies needed for each individual paddock. For an economic analysis comparing these two grazing systems, please refer to Ag-note in the link above. Efficient utilization of pasture land is key in all grazing systems. 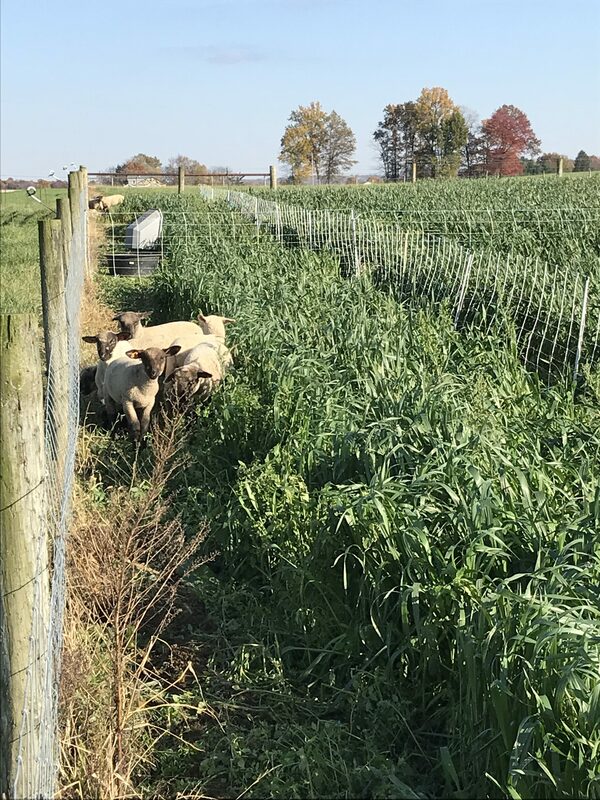 Management intensive grazing may be one solution that can be implemented on-farm in order to maximize pasture utilization. Although rotational grazing requires more time and labor inputs, the forage production generated from this management practice will pay for itself as it will yield a greater amount of forage per acre as well as decrease the need for supplemental feeding, thus decreasing feed costs. To conclude this topic, the Economics group wanted to leave readers with 4 keys that will help lead to grazing success. 1. Begin grazing pasture when forages are 6-10 inches in height (will vary dependent upon forage species). 2. Do not graze pastures below 3 inches in height. 3. Let paddocks rest and recover for 10-60 days (dependent upon environmental conditions). 4. Learn to adapt to environmental conditions and challenges. Posted by Braden Campbell at 8:00am January 4, 2019 Posted in Ag-note and tagged Economics, Forages and Pasture, Management. Bookmark the permalink.